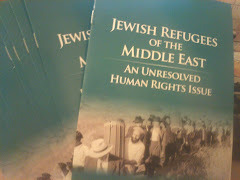 Point of No Return: Jewish Refugees from Arab and Muslim Countries: Why do the Jewish refugees still matter? 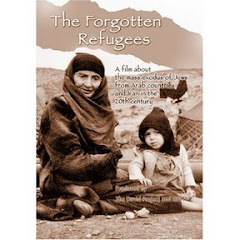 For years the story of the Jewish refugees from Arab lands was not told by those Jewish organisations in the forefront of fighting for a truthful account of all aspects of the Arab-Israeli conflict. That's why this background article by Pesach Benson of Honestreporting is welcome. 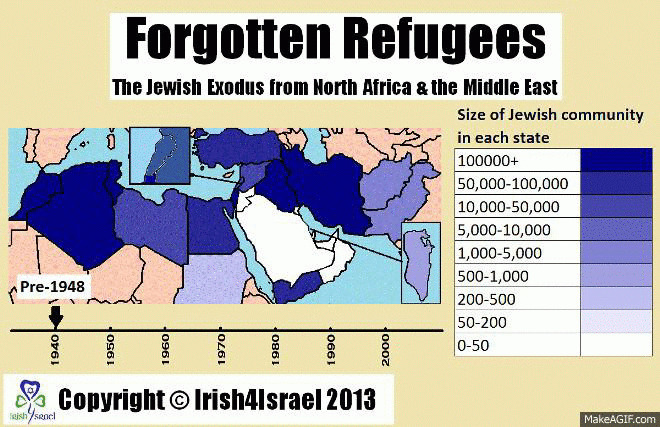 Why do the Jewish refugees from Arab countries still matter? 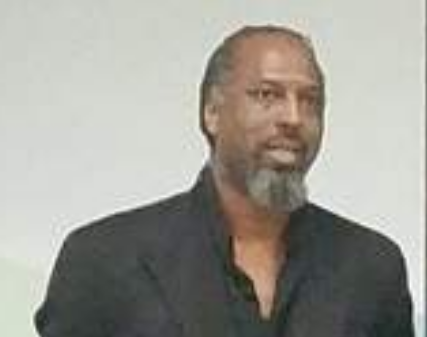 Why is their story still relevant for today, rather than relegated to history books? 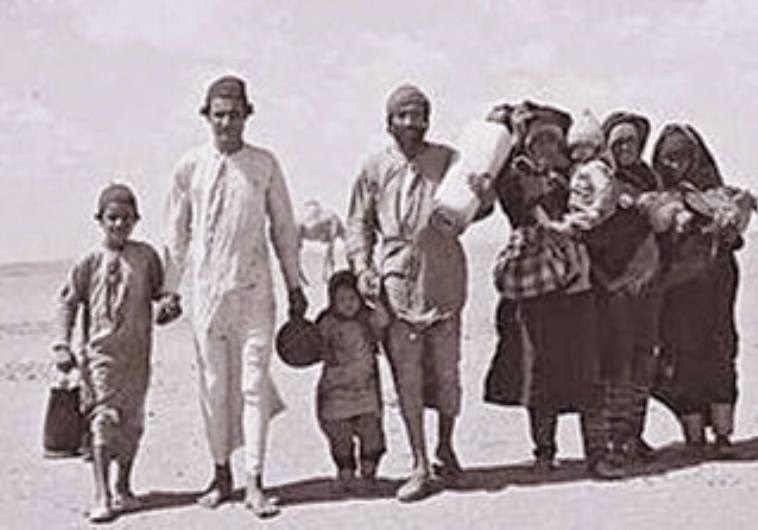 The number of Jews who fled their Arab homelands during Israel’s founding and early years amounts to a population exchange with the Palestinian refugees who fled their homes during the wars of 1948 and 1967. A peace agreement addressing compensating Palestinian refugees would also have to take into account Arab compensation for dispossessed Jews. Some background is necessary to understand why. 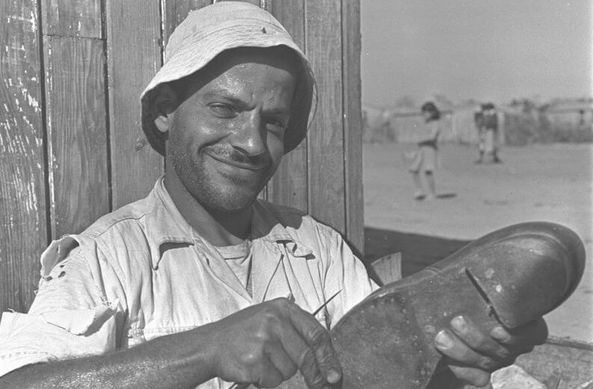 An Iraqi immigrant working as a shoemaker at the Holon maabara in 1952. 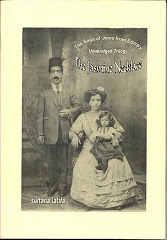 Under Arab rule, Jews, Christians and other non-Muslims were considered dhimmis, or second-class citizens. This status meant Jews had to pay a special yearly tax, could not build synagogues or too openly practice their religion. To further reinforce their lower status, dhimmis could not build homes as tall as the Muslims, were required to dress differently, and weren’t allowed to ride horses — only donkeys. Jewish orphans were frequently removed from the community and forcibly converted to Islam. 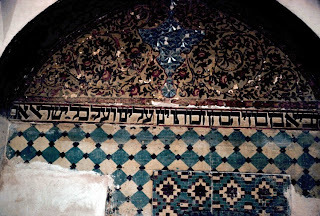 In North Africa, Jewish communities had to live in a ghetto (mellah). For better (and sometimes for worse), Arab rulers weren’t consistent on enforcing these rules. Ya’qub Bilbul: the father of the Iraqi novel and short story. Togo Mizrahi: an Egyptian director, actor, producer, and screenwriter. Saleh and Daoud Al-Kuwaity: brothers whose songs are considered Arab classics. Sir Sassoon Eskell: statesman and financier instrumental in establishing the Kingdom of Iraq. Alphonse Halimi: world champion boxer from Algeria. Sheikh El Afrit (Issim Israel Rozzio): one of Tunisia’s most prolific songwriters. 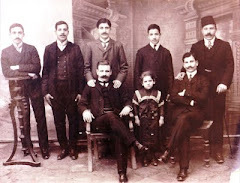 By the early 1900s, much of the Arab world was ruled by the European powers. On one hand, this opened doors for Jews to advance in education, business and government. 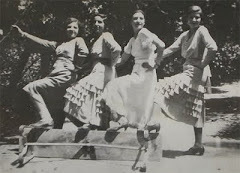 But it also placed them between the forces of European colonialism and restless Arab nationalism. Although they were spared the hell of the German death camps in Europe, Jews in Arab countries faced their own difficulties which history has largely overlooked. The pro-Nazi Vichy French regimes of Morocco, Algeria and Tunisia enacted discriminatory laws against the Jews. These including revoking the French citizenship some 110,000 Algerian Jews and sending 5,000 Tunisian Jews to forced labor camps. 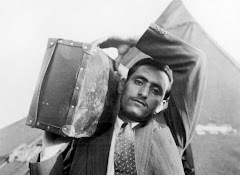 Nazi forces occupying Libya deported 2,000 Jews from Tripoli and Benghazi to work camps in the Sahara Desert. In Iraq, Nazis whipped up the locals with antisemitic propaganda that led to the most violent pogrom against Jews known as the Farhud. 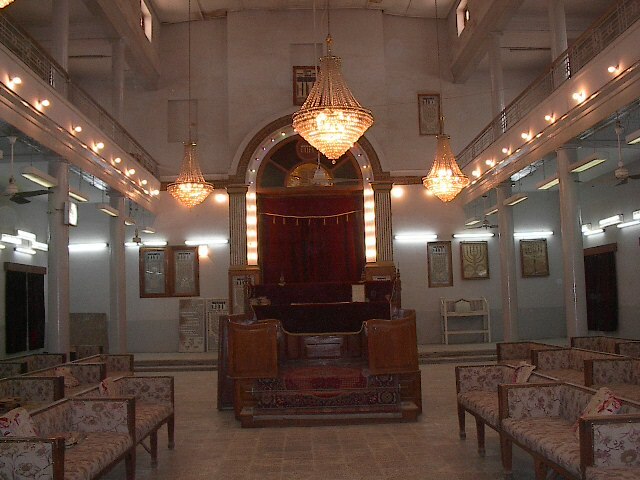 On June 1–2, 1941, following Britain’s victory in the Anglo-Iraqi war and during the Jewish holiday of Shavuot, Arab rioters killed more than 180 Jews in Baghdad, injured hundreds more, looted property, and destroyed an estimated 900 Jewish homes. 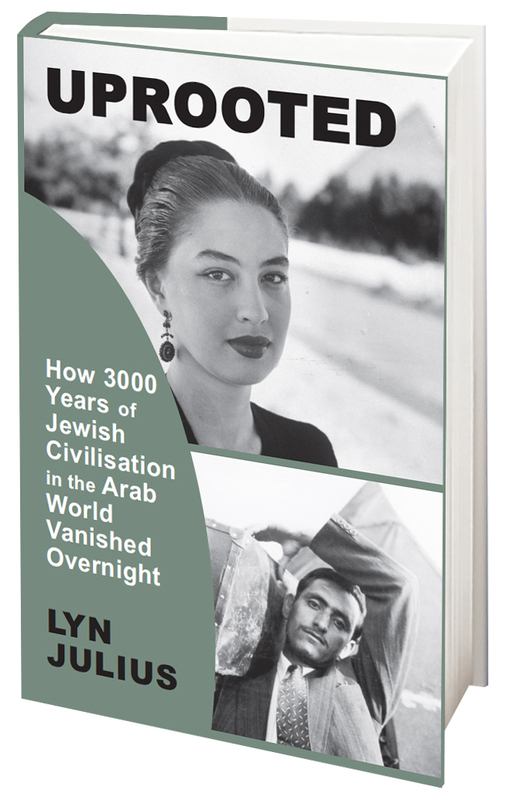 In the time leading up to Israel’s founding, the situation of Arab Jews further deteriorated. Arab authorities arrested Jews thought to be active Zionists. Rioting Syrians killed dozens of Jews in Aleppo and destroyed hundreds of homes, synagogues and shops, while 76 Jews were similarly killed in Aden. Iraqis boycotted Jewish businesses and hung Shafiq Ades, the Jewish community’s most prominent businessman, on trumped up charges of selling arms to Israel. 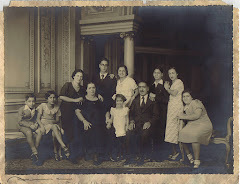 Egypt passed discriminatory laws and 70 Jews were killed in a wave of firebombings of Jewish businesses and homes.